Are you interested in participating in this study? If you are a woman aged 45 to 74 who is planning to get a routine screening mammogram then you are eligible for this trial. Please ask your doctor to fax a request to The Ottawa Hospital Breast Imaging Booking office at 613-761-4405, clearly indicating interest in the TMIST - MAC.22 study. 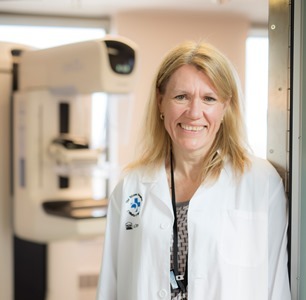 The Tomosynthesis Mammographic Imaging Screening Trial (TMIST) is a randomized breast cancer screening trial that will help researchers learn about the best ways to find breast cancer in women who have no symptoms. It compares two approved types of digital mammography: standard digital mammography (2-D) with a newer technology called tomosynthesis mammography (3-D). It is not known if the newer technology is more effective than conventional 2-D mammography at reducing life-threatening (advanced) breast cancers. The TMIST trial aims to find out. Women who decide to participate in this trial will be involved through the end of the study in 2025. Once enrolled participants will be randomly assigned for either a 3-D or 2-D screening mammograms for five years. Each woman will need to agree to let her doctor tell her how often to get screened—either every year or every other year—based on her individual risks for developing breast cancer. During the study, the results of every mammogram from every woman will be collected. Information about any medical follow-up, such as more imaging or a biopsy, will also be recorded. All women will be followed until the end of the study for breast cancer status, treatment, and results from treatment.